HBO’s Watchmen series added Jeremy Irons a few months ago, but only a few vague details were given regarding his character. That shroud of mystery was lifted today when /Film broke the news that Irons is playing an older version of Adrian Veidt, a.k.a. Ozymandias. The site also brings word that actress Jean Smart is playing an FBI agent on the new series. Alan Moore and Dave Gibbons’ Watchmen comic laid out Veidt’s history over the course of 12 issues. When the Keene Act outlawed vigilantism, Veidt turned to business and focused on merchandising his costumed persona. He became disillusioned with his line of work as the threat of nuclear war continued to grow. With this, he staged a fake alien invasion that killed half of New York City, but ushered forth global peace. Despite initial confidence in his plan, Veidt expressed uncertainty over his actions during his final scenes in the book. Irons’ take on the character could show him continuing to struggle with this moral dilemma many years later. Irons’ role prompts us us to ask which other characters from the story could make an appearance. We believe that Dan Dreiberg / Nite Owl and Laurie Juspeczyk / Silk Specter are strong possibilities to return, since both of them survived in the end. They are also the only living people who know the truth about Veidt’s actions. Dr. Manhattan, the god-like being who was once a man, left for another galaxy without exposing Veidt. There’s potentially a chance that Doctor Manhattan will eventually make his return to Earth on the show. As he said in the comic, “Nothing ever ends.” Even his intergalactic exile could be worth exploring as well. 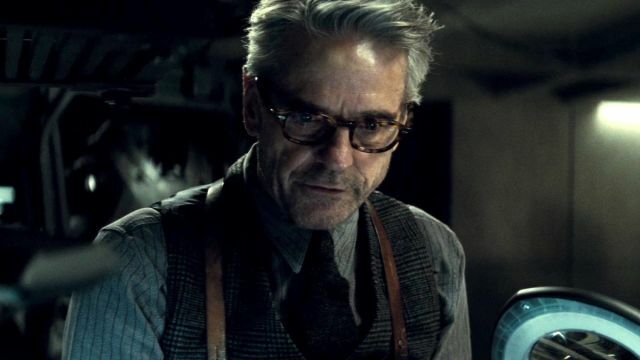 What are your thoughts on Jeremy Irons playing an older Adrian Veidt / Ozymandias on Watchmen? Give us your impressions in the comment section below.